This week, I bring you two incredible conversations. 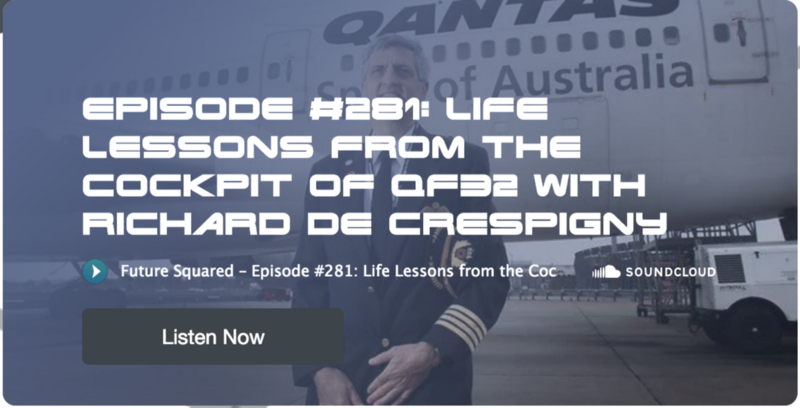 Life and leadership lessons from the pilot who successfully landed Qantas flight QF32 after losing an engine mid-flight, thus saving the lives of all 472 people on board, something air crash investigators later said was a miracle. I also bring you lessons on reinvention from the founder of Joie De Vivre and AirbnbРђЎs former Head of Hospitality and Strategy who joined the company at the ripe age of 52, despite never having used the platform or worked in tech before. WeРђЎre also announcing our Legal Academy and to rounds things out, you can watch my keynote at Innov8rs Sydney and IРђЎve got a cognitive performance test for youРђдotherwise known as a brain quiz! In 1975, at age 17, De Crespigny joined the RAAF: One year later, he started flying. During his 11 years flying transport, jet and helicopter aircraft with the RAAF, he was seconded as AIde-de-Camp to two Australian Governors-General, De Crespigny remained with the RAAF until 1986 when he joined Qantas, flying Boeing 747, Airbus A330 and A380 jet aircrafts. This was a deeply insightful two hour long deep dive conversation with Richard on a number of topics that pertain to not only surviving a crisis situation in the air, whichРђіРђћРђіfortunatelyРђіРђћРђіfew of us will have to do, but how to apply the elements of resilience to better navigate crisis in our own lives, embrace adversity and thrive, whether in a business setting or even when it comes to our own interpersonal relationships. Chip Conley is a New York Times bestselling author and hospitality entrepreneur. At age 26, the founder of Joie de Vivre Hospitality took an inner city motel and turned it into the 2nd largest boutique hotel brand in the world. After being CEO for 24 years, Chip accepted an invitation from the founders of Airbnb to help transform their promising home sharing start-up into the worldРђЎs largest hospitality brand. In four years as Head of Global Hospitality & Strategy, he taught his award-winning methods to hundreds of thousands of Airbnb hosts and created the world-renowned Airbnb Open. He is the recipient of hospitalityРђЎs highest honor, the Pioneer Award, and holds a BA and MBA from Stanford University, and an honorary doctorate in psychology from Saybrook University. He serves on the boards of the Burning Man Project and the Esalen Institute, home of the Conley Library. In the past two years weРђЎve helped the likes of Clifford Chance, Maddocks, Mills Oakley, King & Wood Mallesons, Pinsent Masons, HarneyРђЎs and Cornwall Stodart with their innovation programs. As the demand from law firms seeking guidance to better navigate a fast changing tech landscape grows, weРђЎve decided to formalise our efforts in the space by establishing the CC Legal Academy. Previously, we worked with Mills Oakley on Asia-PacРђЎs first legal-tech startup accelerator program, winning the firm the 2017 ALPMA/LexisNexis Thought Leadership Award. 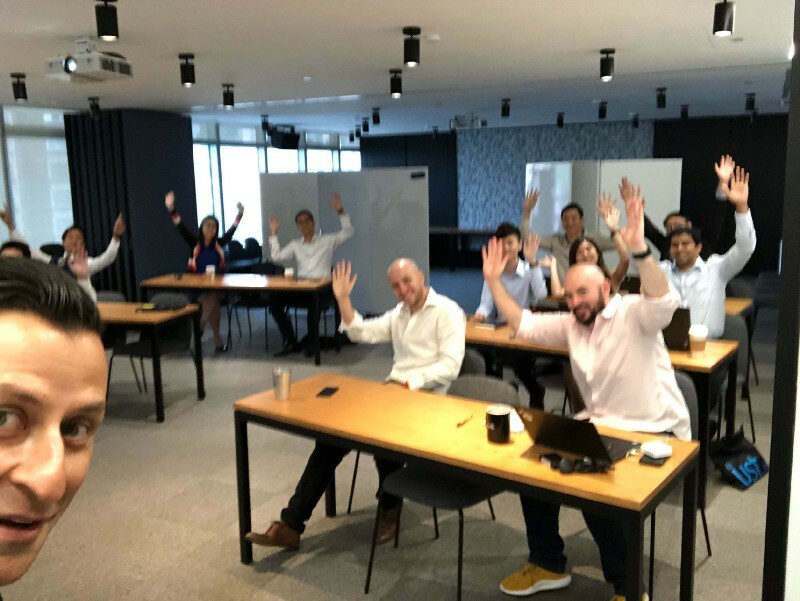 I found myself in at a WeWork in Kowloon, Hong Kong, recently to run some lean startup workshops and design sprints for Standard Chartered bank and FWD Insurance. While I was in Hong Kong, I found some time to get away for what turned out to be a 20 kilometre hike on nearby Lamma Island, home to a fishing community, amazing seafood and pristine beaches. 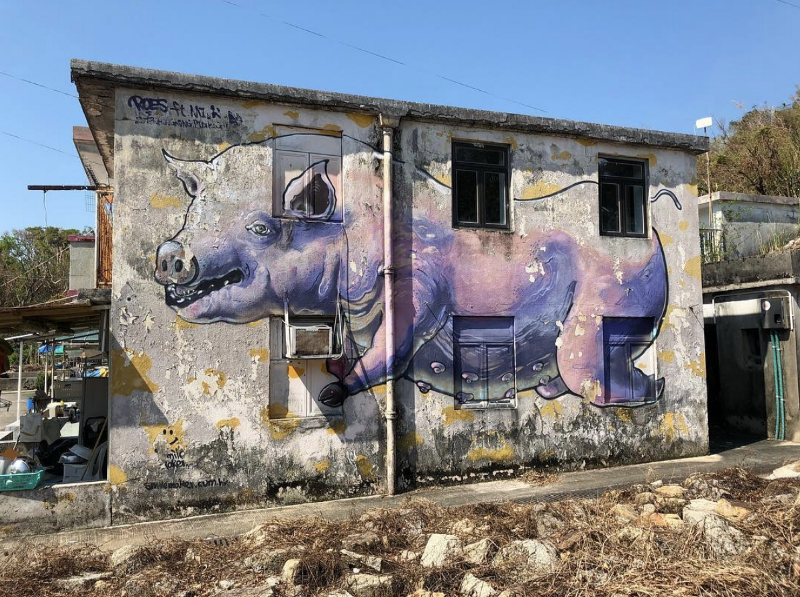 I found myself in one of the many rural fishing villages on this islandРђіРђћРђіwhich would fall short of the modern convention of glamorousРђіРђћРђіand stumbled upon this giant wall mural of a pig. Now, if I had seen this in MelbourneРђіРђћРђіwhich is awash with such muralsРђіРђћРђіI might have looked twice, smiled to myself and moved on. But having come across it, unexpectedly, in this rural village, I was delighted and I felt compelled to stop, take a photo and share it online so that others could share in my delight. That is the power of the unexpected. How might you delight customers, employees or loved ones by delivering the unexpected? 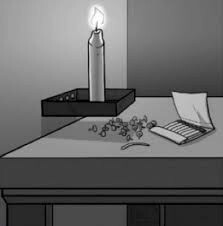 In 1945, Gestalt psychologist Karl Duncker and published a cognitive performance test known as the candle problem. 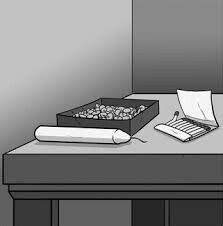 Sit at a table with the items shown below; a candle, some tacks, and a box of matches Your job is to attach the candle to the wall so that it doesnРђЎt drip wax on the floor. How do you do it? Many people begin by trying to tack the candle to the wall. Some light a match, melt the side of the candle and try to stick it to the wall. After five or ten minutes, most people stumble upon the following solution. The key is to overcome whatРђЎs called functional fixedness, a cognitive bias. In order to solve the problem, you need to think beyond the perceived functions of the items and see the box as more than just a home for tacks. While IРђЎve been familiar with the underlying premise of PinkРђЎs book for several years, I picked up a copy of his New York Times bestseller (2 million copies and counting!) to read at the airport. 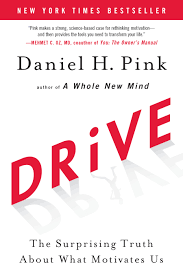 Pink reminds us that in a world where algorithmic tasks are giving way for heuristic tasks that require critical thinking and play, that we need to move beyond what he calls Motivation 2.0 (carrots and sticks) to Motivation 3.0; intrinsic motivation. 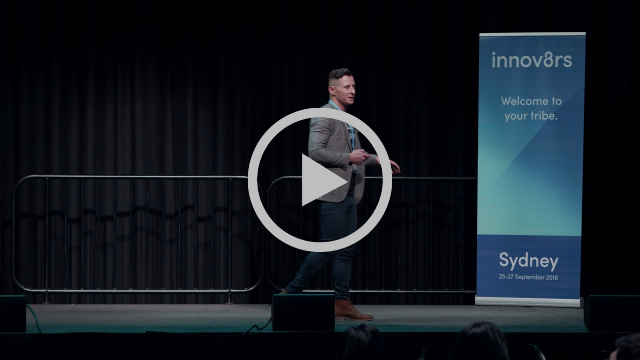 Intrinsic motivation is essentially all about the opportunity to learn and get better at something you value, the autonomy to find your own way and a greater purpose.